On behalf of the Search Committee and the Board of Directors of Busan International Foreign School, I am pleased to announce that Mr. Simon McCloskey has accepted the position of Head of School for the 2019/20 school year. Simon McCloskey is currently the Head of School at Stonehill International School, Bangalore, India. Previously, he was the Deputy Head of School and Primary Principal at Stonehill International School. Simon has been the Head of Primary at St. Andrews International School in Thailand. Prior to Thailand, Simon was Head of School at Sir Harry Johnston International Primary School, Malawi and also previously served as Head of School at Tanga International Primary School in Tanzania. Before his Head of School roles, Simon was a Primary Teacher in Tanzania, Bangladesh and the United Kingdom. He has a Masters in International Education Administration from Endicott College, MA, a P.G.C.E. in Primary Education from Plymouth University, United Kingdom and his BA from Lancaster University, United Kingdom. The Search Committee and I would like to thank all those who expressed interest in Busan International Foreign School and wish each of you the best of luck as you pursue new career challenges and opportunities. Founded in 1983, BIFS, previously known as the International School of Busan (ISB), has a long history of serving the expatriate community in the greater Busan area. 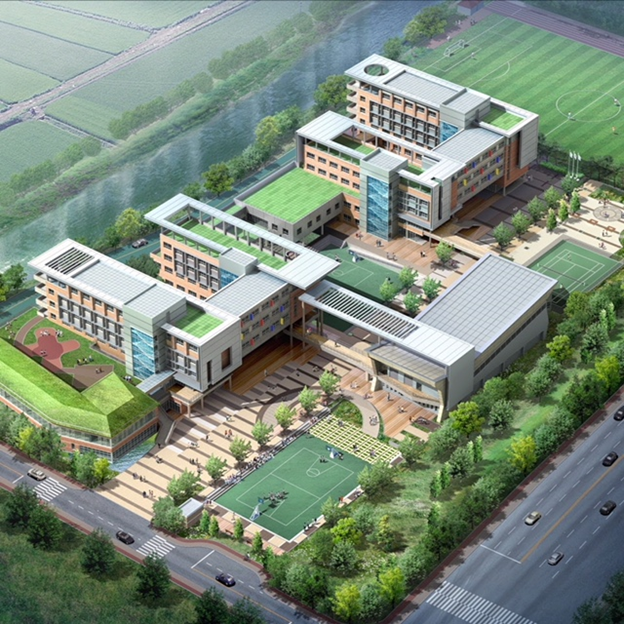 In 2010 the school moved to its current location in Gijang, an eastern suburb of Busan. The new campus includes modern sports, technology, art, and music facilities. Busan is the second largest city (3.5 million residents as of 2015) in South Korea. Located on the southeastern tip of the Korean peninsula, Busan is home to the country’s most popular beaches and beautiful mountainous landscapes. The expatriate community is very diverse due to the main industries of shipbuilding, shipping, marine related support industries, oil and energy companies, logistics companies connected to the Busan port and the strong tourism industry. 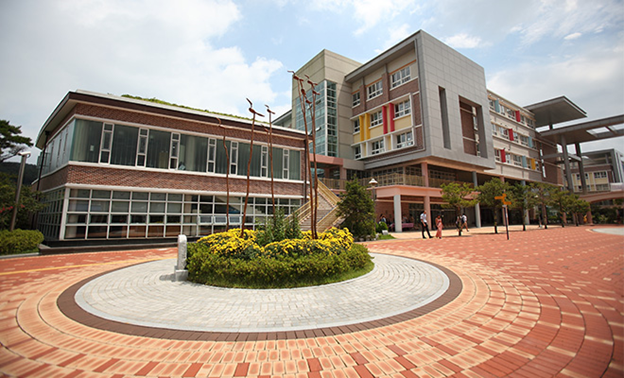 Busan International Foreign School is an IB World School with an authorized IB Primary Years Programme, IB Middle Years Programme, and IB Diploma Programme. BIFS is accredited by the Western Association of Schools and Colleges (WASC). BIFS is a member of the Council of International Schools (CIS), Cambridge International Examinations (CIE), East Asia Regional Council of Schools (EARCOS), Korea Council of Overseas Schools (KORCOS), and the Asia International School’s Association (AISA). The school currently has approximately 330 students, representing over 35 nationalities. BIFS offers education for students from two years old up to grade 12. Students at BIFS take an active role in community service through fundraising, sports, and volunteer activities. Students also participate in international service trips as well as organizations such as Model United Nations and National Honors Society. BIFS is a member of two Korean sports conferences (KISAC and SKAC) and the international conference of AISA. The Busan International Foreign School (BIFS) seeks an experienced and visionary educational leader to be its new Head of School beginning July of 2019. This is an exceptional opportunity for an energetic forward-thinking, hands-on educator with a global perspective. The BIFS is governed by a 10-member volunteer Board of Governors, which is comprised of qualified parents and members of the community. 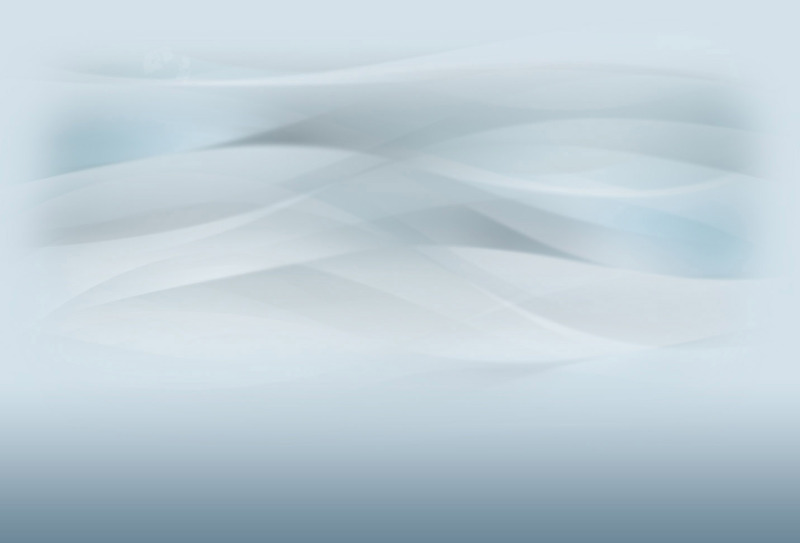 The Board of Governors responsibility is to establish and monitor policies for the school as well as ensure the Mission Statement and Vision remain the primary focus of the school. The Head of School will report directly to the Board of Directors and will work closely with the Board through the Board’s four committees: Education, Legal and Finance, General Affairs and Building and Development. Busan International Foreign School invites applications from qualified candidates excited by its mission, vision and unique opportunities. Compensation will be highly competitive and commensurate with packages offered by similar international schools regionally and worldwide. The new Head of School of Busan International Foreign School will assume responsibility on July 1, 2019. Candidates should note that, in the event an outstanding applicant is identified early in the search process, BIFS reserves the right to make an appointment before the deadline mentioned above and to bring the search to an early close. For this reason it is very important that interested candidates apply at the earliest possible time. A letter of application, no longer than two pages, explaining your strengths as a candidate and why you are interested in the Head of School position at BIFS. A one-page statement outlining educational philosophy and leadership style. A maximum of four letters of reference, which may already be in your possession.